Is Your E-Recruiting Application Secure? Your Human Resources department relies on the ability of job applicants to apply online and upload their documentation directly into the system. However, traditional anti-virus technology is unable to inspect these files. 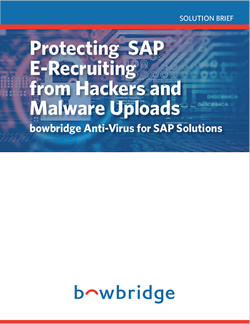 This means cyberattackers may be able to pass malicious content through your security boundary and into your SAP database – potentially exposing your entire system to malware.